Forgive me father, for I have sinned. It has been over a week a very long time since I last engaged in a yarn binge. I fell off the wagon today. You see, I’ve been having a bad week. Tired, playing catch up at work, laid low by seasonal allergies, all these things. And, I forgot to say, raising teenagers. I won’t bore you with the details, because I’m sure you get it. I went to my local yarn store (it is so wonderful it is worth a trip to Birmingham, but you can see the website here) because Donna, the store owner, realized I was a moron and I wasn’t going to be able to free-hand cut out a lining for my jacket and get it in there right offered to cut out the lining and serge the edges for me. The lining is really pretty. It looks like this. 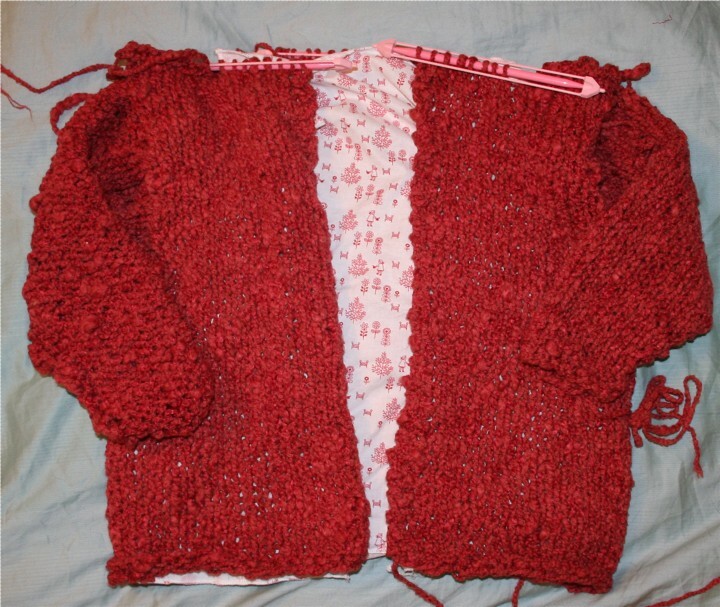 It’s hard to get a picture of a partially knit jacket with the lining stuffed into it that looks like something you would ever be willing to claim as your own work, so I sort of pushed in the sleeves and mocked it up so you can see how cute it will be when it is finished. I think Ellie is going to love it and I am praying she hasn’t outgrown it yet. Which gets us back to praying, and me needing to ask for forgiveness. You see, it was sort of an out-of- control binge thing once I set foot in the door. Last week, while I was at Knitch to hear the Yarn Harlot speak, I saw this Rowan pattern book and fell in love with the sweater on the cover. It’s called Anise. I knew it was meant for me the minute I saw it. I’m sure I’ll look just like the model in it. Really. 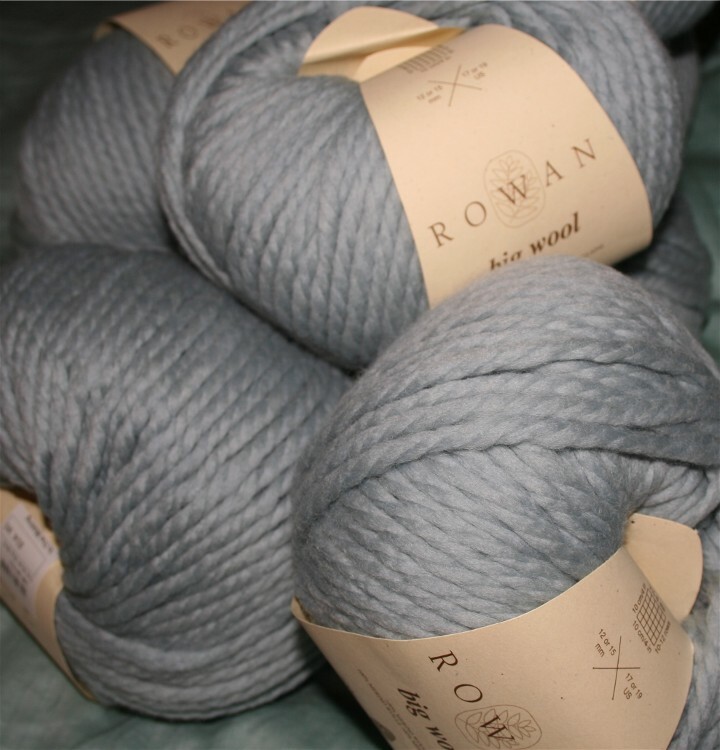 At least I hope so, because I bought the yarn for it and can’t wait to cast on. It’s such a soft, pretty color. And I’ll have lots of airplane time next week. At the counter I bumped into a woman who was knitting this cool Noni bag. Very cool, no? I decided to go ahead and get yarn for it too. A girl can never have too many airplane projects. You have no way of knowing when you’ll be stranded on a runway for hours at a time. I would hate to run out of knitting. I don’t think I will now. All in all, it was a pretty sinful lunch hour for me. I’ve got to go to bed early so I can get up early and start casting on! ← Susie, Don’t Read This! It’s obvious thqat you can never have too much yarn; it’s not like it would go bad on the shelf. These look like great projects. Did you finish Ellie’s socks? Hey, i remember that fabric! I love that jacket! That’s fantastic! I’m right there with you. 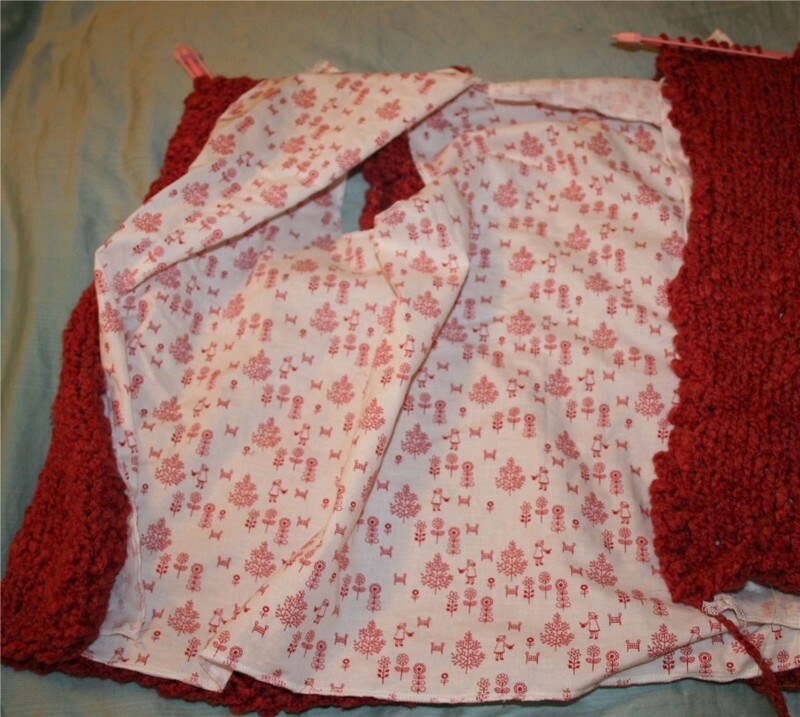 I have multiple projects started and what did I do last week, but by yarn to do the vest in Fitted knits. I think I have an illness, but I just don’t want the cure. Hope to see you at knit night soon!! Sorry to hear that you’re still not feeling well. I LOVE the bags! Can’t wait to see yours. OMG – I just made a huge comment and lost it! I’ll try to remember. I’m working from the top of your blog down. 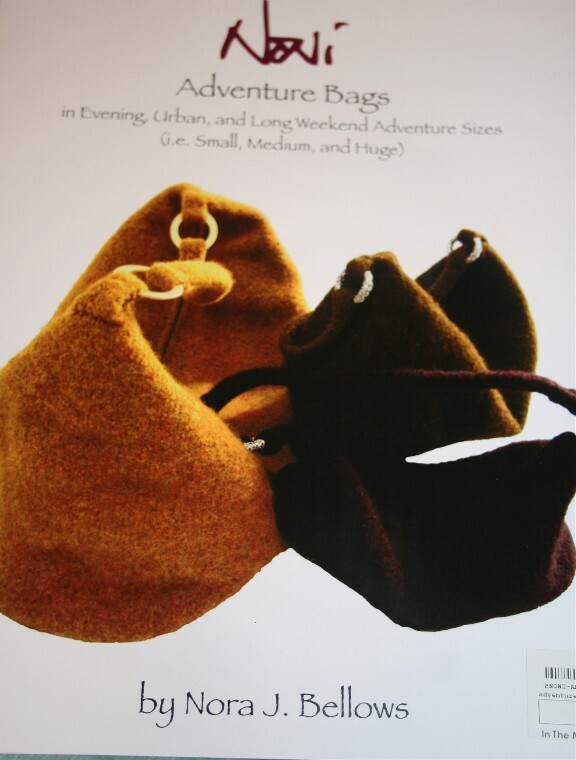 I adore the adventure bag you are working on – it;s going to be fabulous!! 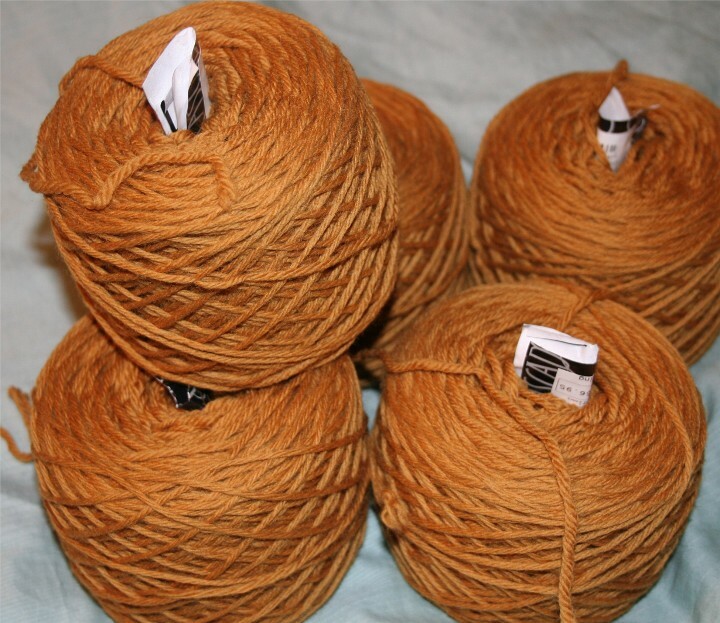 The color yarn you picked is just delicious for this time of year. Also, I’m glad to see that Ellie’s sweater will fit!